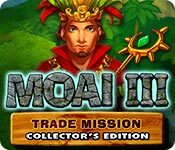 Moai 3: Trade Mission Collector's Edition is rated 4.3 out of 5 by 22. Rated 5 out of 5 by jazzannick from great game I love the entire series. And the collector's edition worths it : you get twice as much levels! Rated 5 out of 5 by Bumbles2 from What an awesome game !!! I knew this was a must have after playing only about 10 minutes of the demo....so I immediately bought and am definitely not sorry I made that decision. Our hero in this story crashed his hot air balloon into an island and then he met and married Bright Lights...together they travel to another island to try and establish trade. The fun factor was definitely there...I really didn't want to quit to make supper or even go to bed...it was soooo addicting. The music and graphics were the best of the best....the developers and artists did a fantastic job. 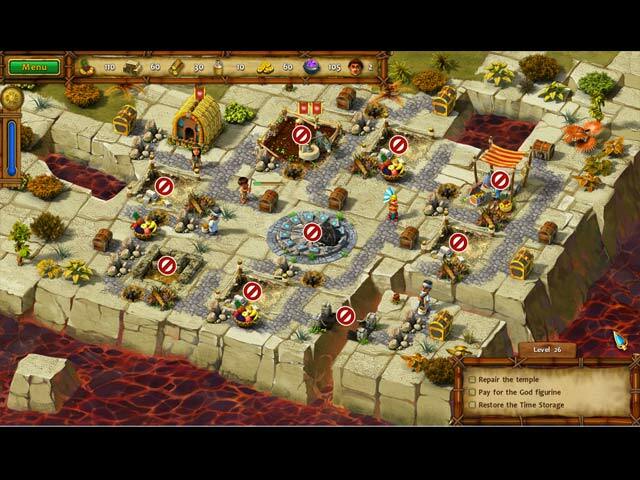 There are some challenging areas but with a little ingenuity and strategy its doable. I know if you try the demo you'll definitely want to own this game.l Take care all and stay outta trouble !!! Rated 5 out of 5 by katyann from Loved this hidden object game I really liked this game am looking forward to the next one. played all 53 challenges it so great to find a game with no demons. I love all sorts of games but so many were just so gritty for me. Rated 5 out of 5 by Shamumu from Lots of Fun I thoroughly enjoyed this game. I was glad that I could earn every achievement in easy mode. Rated 5 out of 5 by mareMeva from Excellent but more of the same This is an excellent game, very well done in every aspect. 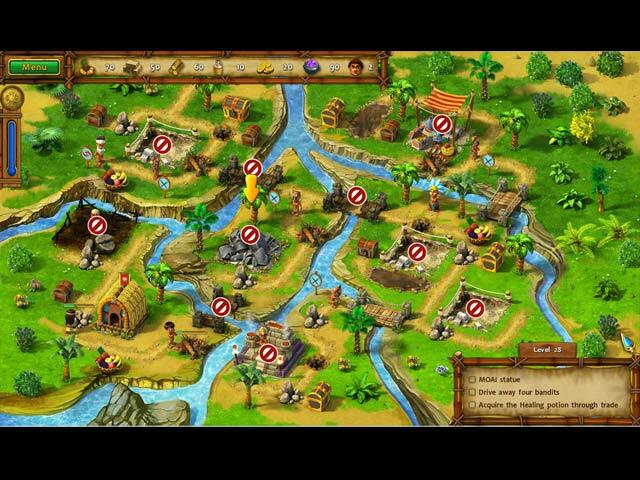 The options to play timed or untimed are very helpful and I have enjoyed it very much. BUT there is nothing REALLY new in the game, so if you played the previous Moai games, it's also ok to replay another one and wait for a CE or something else. Rated 5 out of 5 by tartartic321 from Fun with some challenges At first I thought this was going to be just like all of the other recent time management games. In some ways it is, but the story and challenges of doing things in the right order make it very different. I love it and would recommend this one. Rated 5 out of 5 by Ziggy_Zigster from Moai ala-mode The only thing I have to comment on that has not already been said in other reviews or the game description is this: Yes, there are two game modes. Timed and untimed. BUT, here's the great thing. IF, by chance, you get to a level (timed) that you cannot complete in gold time, you can go back to the main menu, select 'untimed' and redo the level and get the gold without having to start a new game. This works great for me. I wish more developers did it this way. 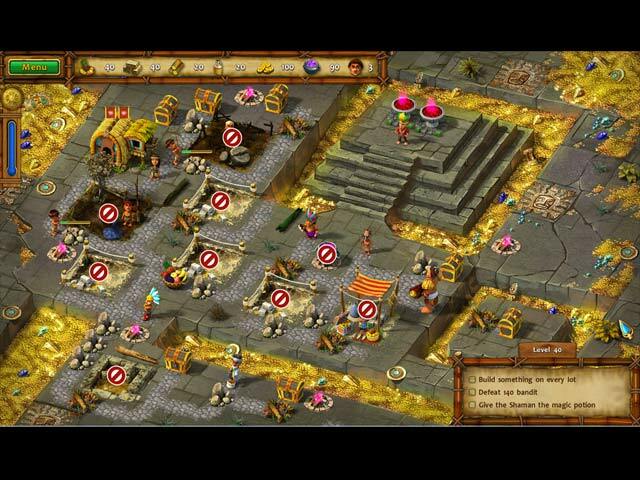 Rated 5 out of 5 by leokadia1 from Despite the boring bandits... I was hoping this iteration of the Moai series would lose the boring bandits, but no such luck - they appear four times between levels 30 and 40. Having said that, I enjoyed this game very much and will play it again and again. The graphics are great, amazing nuanced color and good size. I played the untimed, relaxed version which has 40 levels.